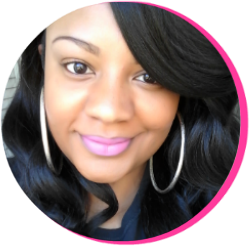 Lipstick lovers, I have a treat for you today! 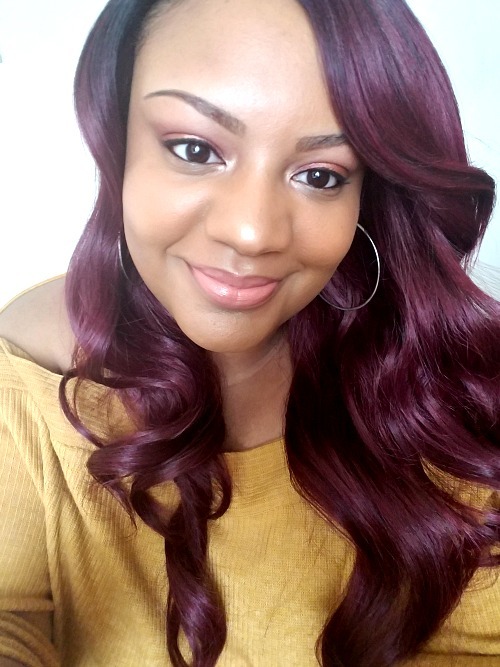 I recently purchased a few Katy Kat Matte lipsticks from the Katy Perry loves Covergirl Collection and I couldn't wait to share the details with you. A couple of weeks ago, I was scrolling through my Instagram feed when I saw my blogger friend Suma of The Fashion Beauty Junkie share about these lippies. Intrigued by the packaging, I stopped by my local Walgreens and saw that they had a few of the shades in stock! This was a big deal, because my local drugstores can be late with stocking the latest beauty collections at times. Nonetheless, I grabbed these four, priced at $7.99. They were BOGO 50% at the time, and I had a $1.00 off coupon for Covergirl lipsticks, so I was WINNING! I shared these beauties with my 'Gram Fam (because, have you seen this pretty matte white casing?). And since quite a few of you asked me to share my thoughts, I decided to chat about them for a bit here. 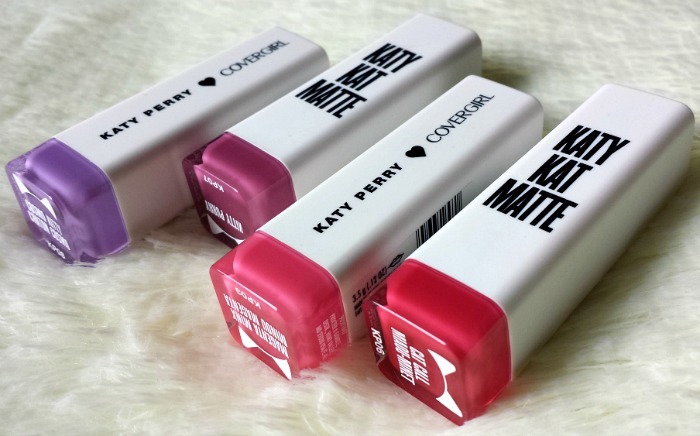 Covergirl's Katy Kat Matte lipsticks are described to be demi-matte, with a velvety finish. This finish, formulated with shea butter, is supposed to give the lipsticks a moisturizing feel--different from the dryness matte lipsticks can tend to give. 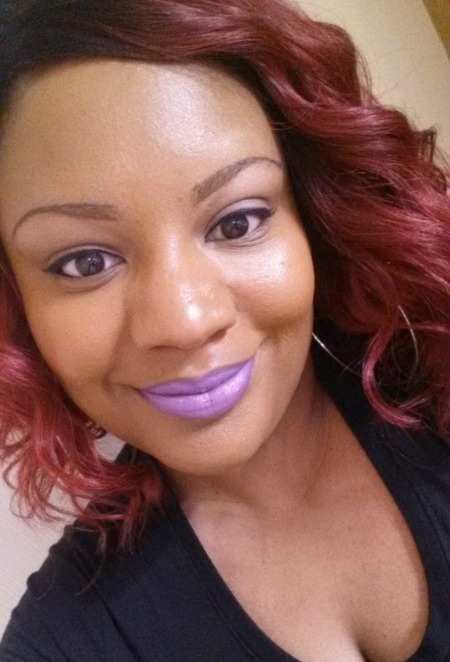 Never having heard of a demi-matte lipstick, I popped my purchases in my purse and hoped for the best! The first one up is Cosmo Kitty. This lippie is easily my favorite from the bunch. It reminds me of a more blue-based version of my beloved Up The Amp. And this is Kitty Purry. This lipstick shade leans more on the mauve side. 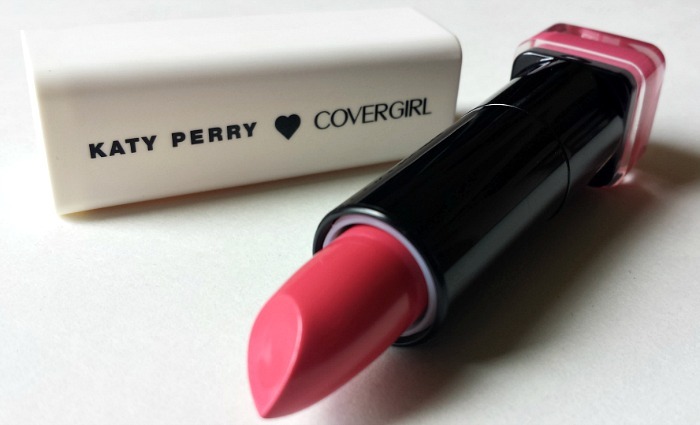 Kitty Purry is definitely the one lipstick among the group I could see myself wearing as an everyday lipstick. Next up is Magenta Minx. Though it looks like a warm pink lipstick in the tube, it applies a bit more on the cool side. And last but not least is Cat Call. This is a beautiful coral shade, perfect for the summer. 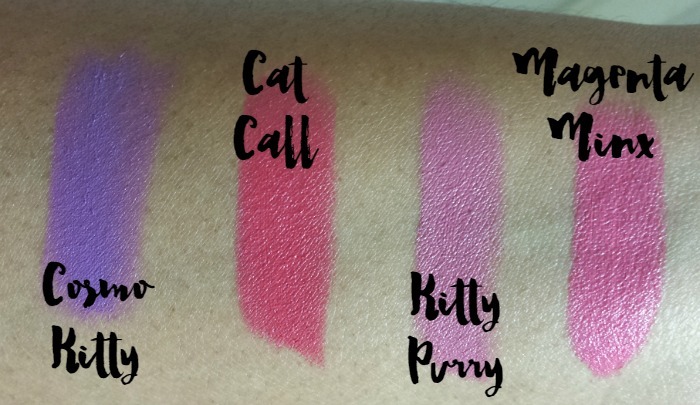 Though they look similar in color in the tube, Cat Call is much warmer and more pigmented that Magenta Minx. Here are swatches of the lipsticks. 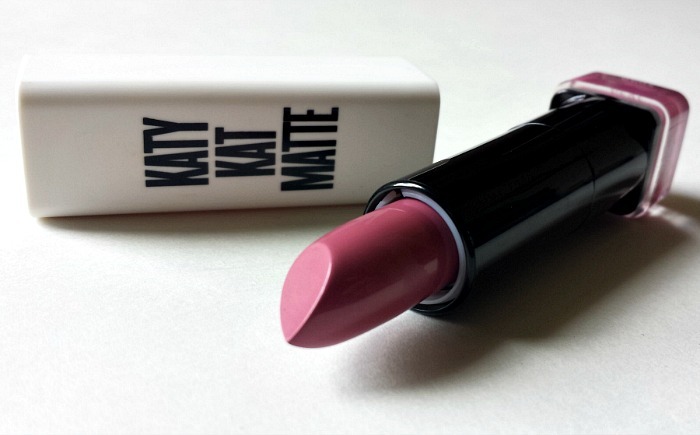 All in all, I like the Katy Kat Matte lipsticks. The collection offers an array of shades (11 different ones to be exact). 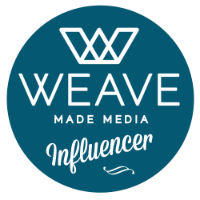 And you can find them in quite a few stores--Walgreens, Walmart, CVS, and Ulta are the ones that I know of specifically. As far as the quality of the lipsticks go, I say they are pretty good for a drugstore lipstick. They aren't exactly matte, like my favorite lipsticks usually are. So you can imagine that the formula is not as long-lasting as matte lipsticks are known to be. 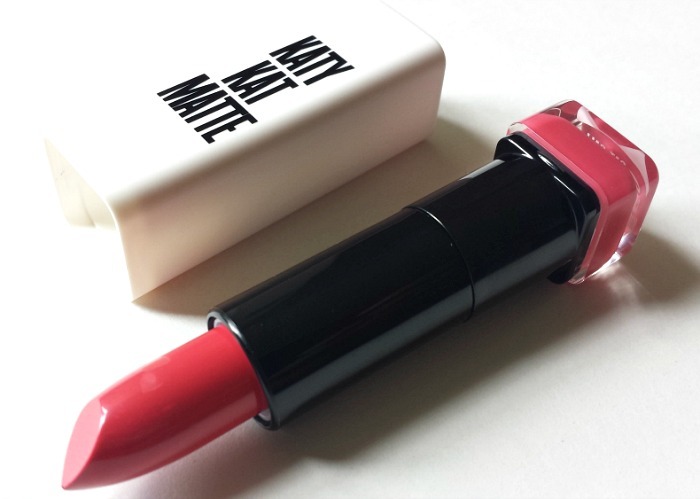 The Katy Kat Matte lipsticks are, however, more moisturizing than the usual matte. While the darker shades seemed to apply more smooth and evenly, the lighter shades took a few more applications. And though the lipstick may have to be re-applied a couple of times as the day progresses, that is not a deal-breaker for me. I'm always reapplying or retouching my lipstick/gloss after eating, drinking, and after time anyways. Would I buy them again? Possibly. I'm thinking of grabbing up Sphynx (a bronze hue) if I see it in stores. But I would advise you to catch one of these BOGO 50% sales if you're on the fence about trying these lipsticks. Currently Ulta and Walgreens have them on sale, so if you are near one and want to try them for yourself, look there first. While I'm not aware of Ulta's return policy, I know Walgreens has a great one and does accept returns. Here I am wearing my personal favorite shade, Cosmo Kitty. the Katy Perry x Covergirl Collection?